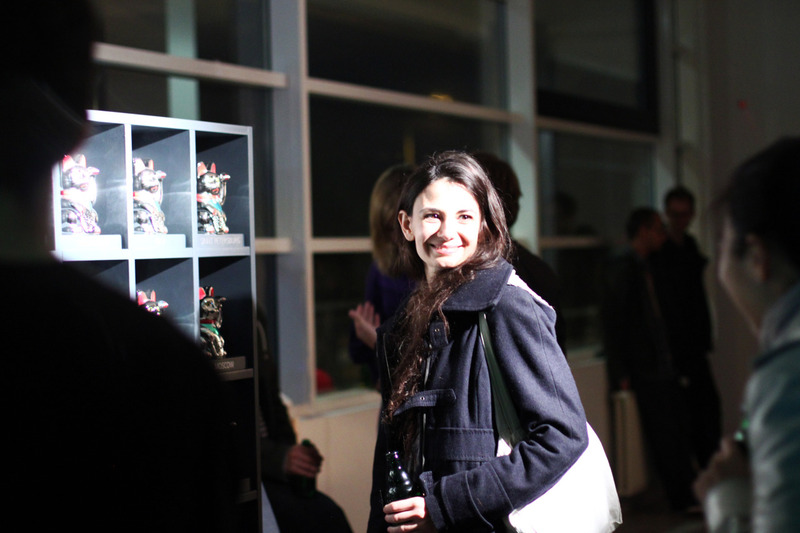 CatsAnalytics visualises where visitors of ArtHackDay.net come from through Maneki Neko (japanese winking cats). 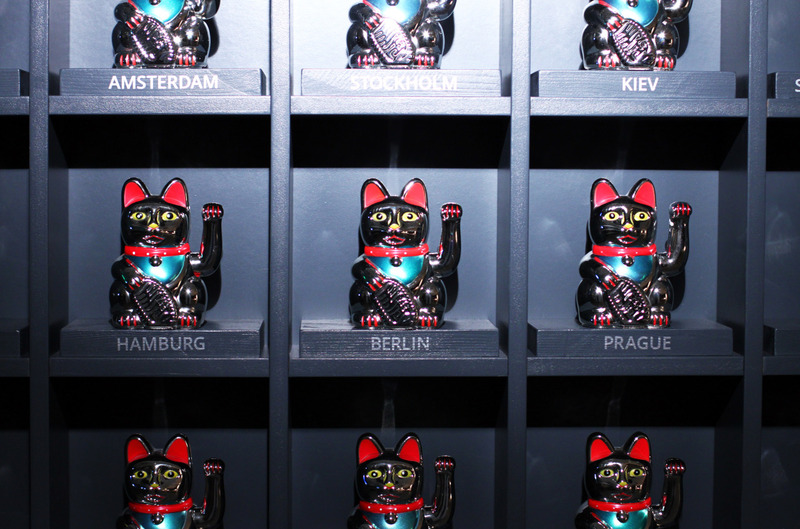 Each one of the 20 cats represent a major european city and starts winking as soon as a visitor from that region accesses the website. Additionally the movement of the local visitors is tracked and shown through the lower row of cats. The whole installation is live streamed on catsanalytics.com to allow the tracked visitor to spy on the analysts who are watching the cats.